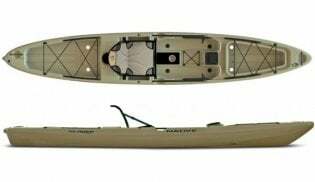 Fishing Kayak Reviews Native Watercraft "Slayer 14.5"
The Native Watercraft “Slayer 14.5” was built using the input of kayak fishermen. The Slayer 14.5 features a clean, uncluttered deck perfect for fly fisherman with a multitude of customization options for anglers and recreational paddlers. 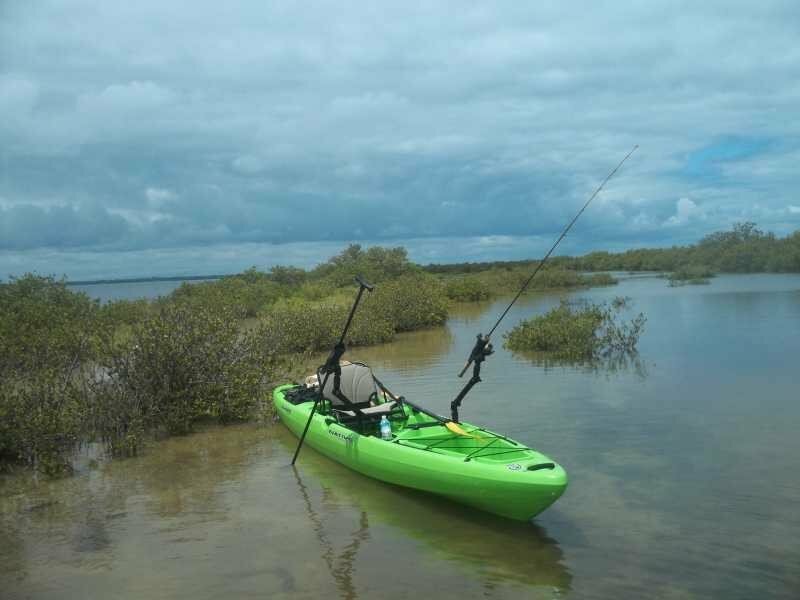 With the First Class Seat with adjustable high low seating, the Slayer 14.5 is the perfect kayak for stalking the flats for redfish or trolling offshore for kingfish. The self-bailing hull, and built-in rod stagers and tackle storage make the Native Watercraft Slayer 14.5 a fish catching machine. I added the front hatch cover for some dry storage, but also have the soft cooler which is a great investment. This was my first "real" kayak. I paddled a buddy's and had one in my garage within 2 weeks. This yak is a paddling machine. Easy to start up, easy to turn (sometimes a challenge in a long yak), and very easy to enjoy. 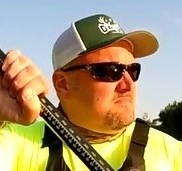 I am a big guy, and I don't stand often while kayak fishing, but if I choose to stand the Slayer allows me to do so without any problems. It is easier for me to get to the standing position if you have the seat in the high position. I can do it from the low position, just a bit more "fun" doing so. Fun meaning I look a bit like a clown putting an act on. The wide open deck is great for fly fishing (I do not fly fish, but the buddy who gave me my first paddle in the Slayer does and he loves it). Plenty of storage room. Plenty of places to mount stuff (and you know we kayakers need our stuff). I am more the minimalist yak fisherman so when I go out I normally take 3 rods (2 baitcasters and a spinning rod) and there are 2 in rod holders in front of me with the third being in my Native bag in the back. Again plenty of room for anything I need when I go out. My advice is get the good scupper plugs...the kayak can be a bit loud and "gurgly" without them. I never saw it as an issue, but I have the scupper plugs anyway. The wheel in the keel is helpful unless you go through something soft going to your launch point. If that is the case I would recommend getting a cart for the yak. It can also be a bit challenging to balance the kayak on that little wheel. Better than a kayak without a wheel, but I think it can be improved. Great boat, I would highly recommend taking a look at one the next time you are in the market for a new yak. Scotty gear head mounts and rod holders. I picked up my Slayer 14.5 the day before going on a week long fishing trip to Florida in March of 2014. I didn't have time to even unwrap it before leaving, so my first time in the Slayer was on the redfish flats of St. George Island, Florida. It didn't take long for me to be impressed with the Slayer 14.5 once I got in it. I can only compare it to my past two kayaks, a Native Watercraft Ultimate 14.5 and a Jackson Cuda 14. 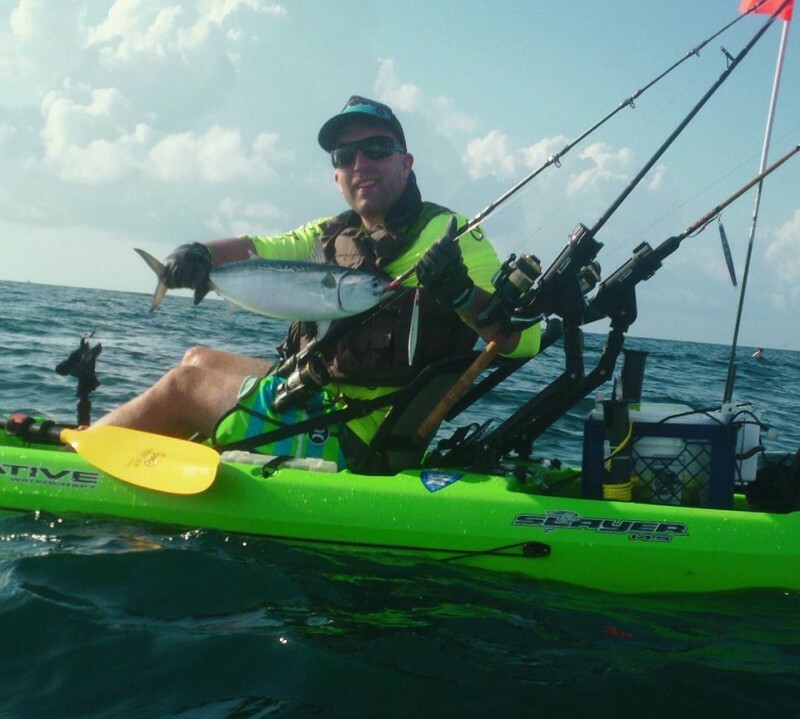 Both the Ultimate and the Cuda are great kayaks in their own right, but for my personal way of fishing I feel the Slayer is a MUCH better fit. 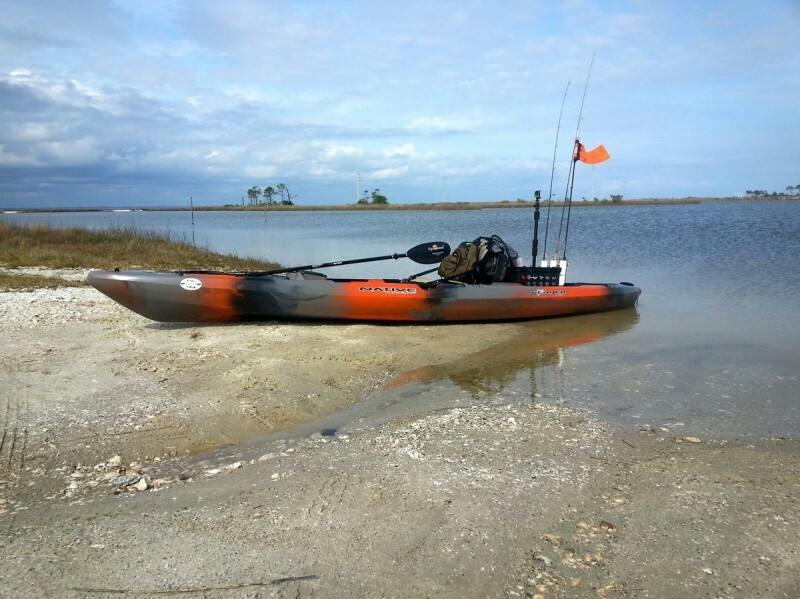 The open cockpit area is great for fly fishing plus the ton of gear track that the Slayer comes with makes this kayak very easy and versatile when it comes to rigging. The Slayer's seat is awesome and probably the most comfortable seat in a kayak that I've paddled so far. That is saying a lot because I thought both the old Ultimate and the Cuda seats were great. 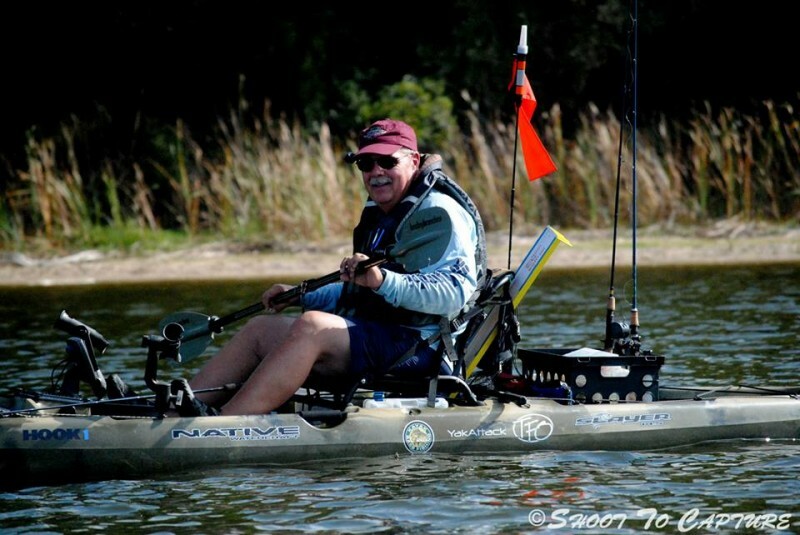 A comfortable seat is a priority for me when buying a fishing kayak as it'll keep you fishing and on the water much longer. When it comes to actually paddling the Slayer 14.5, I was really impressed. I thought for sure it would be a bit slower than the Cuda due to the hull design difference and also slower than the Ultimate due to the heavier weight. However I was wrong on both accounts and feel that the Slayer paddled just as fast and just as easy as the Cuda and Ultimate, with it tracking much better than the Ultimate did. It turns easier than the Cuda and I find the Slayer is much more stable when standing than my Cuda was. Native hit a homerun with this hull design, that's a fact. I thought I might miss the hull storage on the Slayer after owning the Cuda, but when I thought about it I only used the Cuda's hull storage once in the time that I owned it. And the open forward hull compartment on the Slayer is perfect for tossing fish that you plan to keep. So as you can see, I'm super happy with my Slayer 14.5. It's a perfect fit for my style of fishing and I don't think any other kayak on the market right now would fit the bill like this one. You can't go wrong with a Slayer! Added a Zooka Tube rod holder, Panfish pole camera mount and Visipole from Yak Attack, and a basic milkcrate. Oh, and of course a YakAngler decal! I love the Slayer 14.5 for large bodies of water and short trips. It is super stable and can handle the roughest of water. It has the super comfortable Native high/low seat in it. I am primarily a fly fisher so I really like the open cockpit for stripping fly line without any snag points. The Slayer is an all around good boat. I added a front hatch cover, track mounted rod holders, a fish finder, an anchor trolley, an illumination kit, and a crate. The boat is a barge therefore it is slow. I picked up the Slayer 14.5 around 6 weeks ago, and decided to wait awhile to get a good feel for it before writing a review. I have now taken it from ankle deep water to the open ocean and I feel that I can write this review with confidence. Speed: not really slow, but You arent going to win any races with it. I kick it along easly around 3 knots (according to my GPS), but any faster and it gets exponentialy harder. It tracks well even without a rudder. Stability: Outstanding. I couldnt be happier. I can stand and fly fish without issue. We were also buzzed by a 45ft offshore boat this weekend and had a decent wave come over the side, the slayer handled it easily. Features: This is where this boat really shines. The seat is awesome, its comfortable and has a high-low option. There are molded in tackle boxes on either side of the seat which I love. 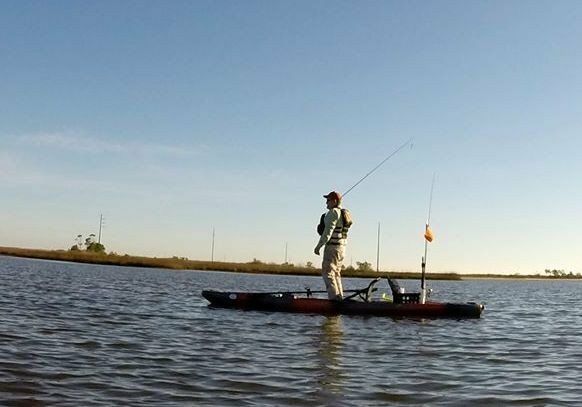 The rail system on either side ( and the front/back) are great and make the kayak easily convertable from flats fly fishing to deep water jigging or any application you perfer. The open bow was a huge deciding factor for me, I love the versatility of it and the ability to actuall access my front storage the water. As an added bonus Native has a fish bag that fits that hatch perfectly and is a must have. 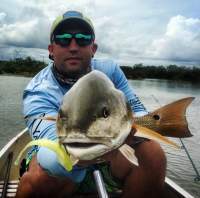 The large number of oversized scuppers is also great and helps drain the yak quickly. Value: Its MSRP is around 1,279.00. I suppose its a mid range price, but an outstanding boat and worth every penny. Its apparent that the Slayer 14.5 was build FOR FISHERMEN. It does its job well. High points are the stability and features. 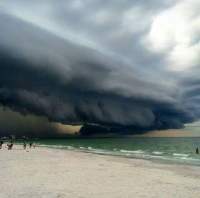 The downsides are it is not a speed demon, and its large mass can take it out of You on windy days. The large scuppers make a lot of noise if You dont plug them, an easy fix, but something obnoxious that I noticed right off. Awesome Kayak in my book, I honestly wouldnt trade it for another boat on the market.